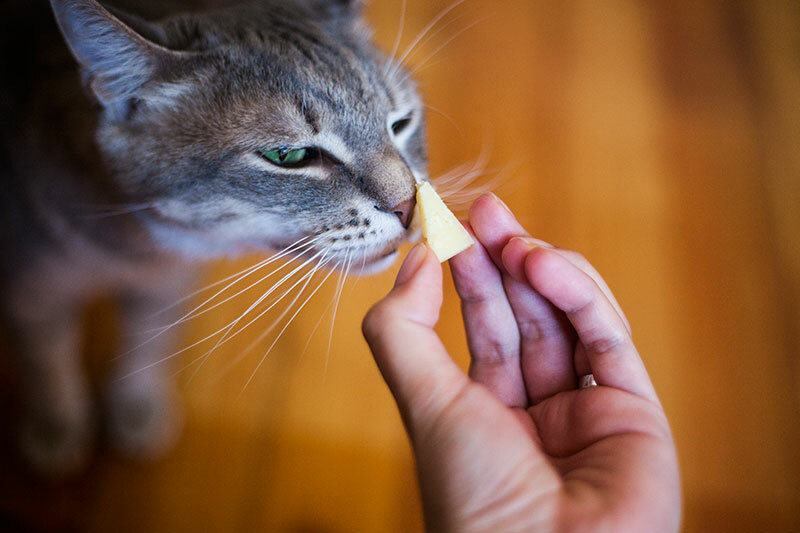 I’ll admit to being a cat owner who freely offered her cat a little bit of cheese as a snack long before looking up whether or not it was actually safe for cats to ingest. 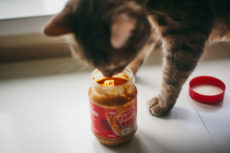 As a new cat owner, I knew not to offer up just any foods to my furry feline, as I knew many “human” foods that appeared harmless could possibly be extremely dangerous for pets to ingest, but in the back of my mind cheese was always a safe bet to give so long as I didn’t offer too much of it. Now that I’ve had this cat blog a while, I’ve become a lot more interested in where the fine line of “too much” or “could an equivalent be better?” lies. There’s always more to the story even if your intuitions right off the bat are spot on. So I did a little digging, and here’s what I found out about the cats + cheese combination. Let me know if your intuitions were also right about this subject. Yes, cats can eat cheese. Now, we’re talking about regular plain ‘ol cheese here with no extra ingredients besides the typical “milk, cheese cultures, salt, and enzymes” combo. 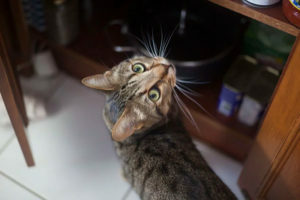 If you’re wondering whether a specific cheese you had in mind that has some extra ingredients in it is safe for cats to eat, you’re going to have to look up those ingredients one at a time. But I pretty much just mean basic no-extra-ingredients cheese when I’m talking about cheese here, so keep that in mind. To reiterate: cheese that lists milk, cheese cultures, salt, and enzymes as the only ingredients are the cheeses we’re talking about. 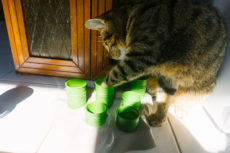 Any extra ingredients please look up separately as those may not be safe for cats. 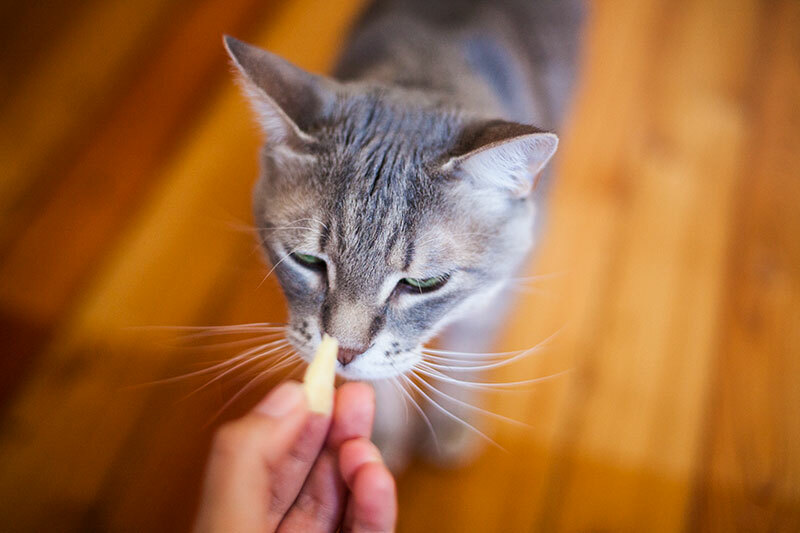 A lot of websites insist repeatedly that cats shouldn’t be ingesting cheese because they’re all pretty much lactose intolerant, and you know what, while that’s obviously true, it doesn’t mean you need to keep your cat off the yummy dairies entirely. Moderation, as with everything in life, is key. Is It Ever Dangerous for Cats to Eat Plain Cheese? Since cats are lactose intolerant, giving your cat too much cheese leads to some pretty unpleasant results. What are these? Ever had lactose intolerance yourself? If not, know someone who’s had it? It’s not very comfortable, and it won’t be comfortable for your cat either. They get the same gas issues, the same runs, and the same upset tummy we would were we to mix lactose intolerance + too much dairy. Avoid giving your cat too much cheese. But how much cheese can you give without it being too much? Sorry to say – it depends on the cat. Every cat will have varying tolerance to lactose. Also, it depends on the cheese. Different cheeses have varying amounts of lactose in them. Aged cheeses have lower lactose than younger cheeses; goat cheeses have less lactose than cheeses made from cow’s milk. Curious about how much variance there can be from cheese to cheese? Check out this interesting list of lactose percentages of dairy products. Apparently some American processed pasteurized cheeses are up to 14.2% lactose?? The median is something like 2 or 3 per cent, so that feels entirely mad! Obviously, now knowing the enormous gap between these numbers, you’ll now get why the particular cheese you’re offering up makes a lot of difference to how much you should bottom line dole out to a cat. I know that’s not something you likely wanted to hear because if you’re reading this section, you probably wanted a definite answer to the question “How much cheese is too much?” But don’t worry; I have a simple little test that will help you see whether your cheesy generosity is simply too much for your cat. What’s the test you ask? Give your the amount of cheese you feel would be appropriate, then be diligent about checking for symptoms of lactose intolerance for the next few hours up to a day (again, the symptoms are: upset stomach, gas, and/or diarrhea). 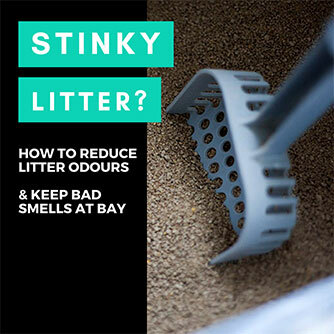 Notice a slightly runny loo visit or the unpleasant smell of a kitty cat farting? You’ve given too much. So if your cat is on any kind of medication, make ultra extra sure to double check with your vet that it’s okay he or she has cheese while on this medication. Or honestly, skip the cheese altogether if your cat happens to be on medication – just to be on the safe side. 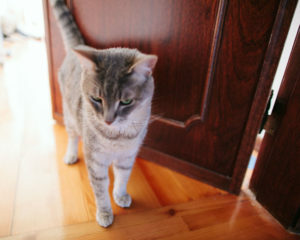 It’s also a good idea to check if the medication your cat is going to be on will have any other food related conflicts. Wanted to use cheese to hide medicine pills you need to convince your cat to eat? Need an easy way to get pets to take their medication that’s not harmful at all? Try 100% petroleum jelly – the non-scented kind. 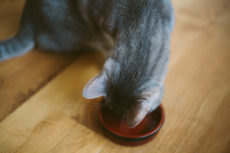 It’s a very effective, highly non-toxic home remedy for helping cats pass hairballs, and should work like a charm for getting cats to swallow medications and pills as well. 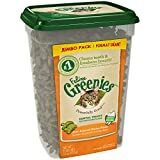 You can also try specially made cat treats that come with holes in them for you to insert medicine tablets or capsules, like Greenies Pill Pockets, as I mentioned in my article about whether peanut butter was safe for cats. 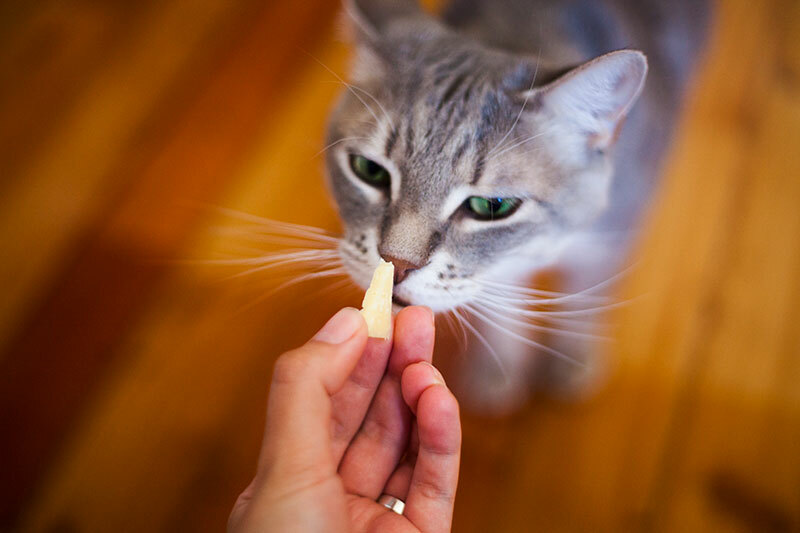 Which Types of Cheese Can Cats Eat Safely? Absolutely always make sure to check the ingredient list before feeding cheeses to your cat, but if we’re talking the standard milk, cheese cultures, salt, and enzymes combo that’s the baseline for most cheeses, we’re talking safe in small amounts (though obviously watch for reactions; again, if your cat has upset stomach, gas, and/or diarrhea – it was too much cheese for him/her). Yup, yup, yup. Correct me if I’m wrong, but these should all be fine for a cat to eat in small amounts. Again – here’s the ever so insightful list of lactose percentages of dairy products in case you want to figure out which cheeses to look into buying to make sure your cat has the least lactose even though he or she wants cheese a little more regularly than the average cat. Obviously, the exact lactose percentage varies from cheese to cheese, but based on the list, Camembert looks like a kickass option no matter how high the lactose percentage gets. On the other end, some American cheeses, processed ones especially, seem like they could be very bad picks. What About Eggs and Cheese? 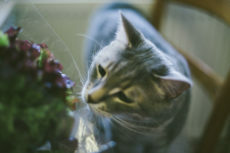 Not only is it true that cats can eat cooked eggs safely (both egg whites and egg yolks) – eggs are actually very healthy snacks for cats and have been deemed one of the most nutritionally complete sources of protein for both humans and animals – which is awesome! Cats can definitely not live off of eggs alone, so you can’t just give your cat eggs and cheese for supper, but a small egg and cheese snack is perfectly fine to be delving over if your cat eyes it on your plate and meows for a nibble. I’ve done a few of these “can cats eat x” articles already, and of the ones I’ve done, lettuce and eggs were the top two “human” foods to feed cats as snacks. Eggs because they’re damn close to being nutritionally complete, and lettuce because of the fiber content, because eating lettuce can help your cat stay hydrated, and actually quite a slew of other perks, so look into that article in case you’re interested in trying to offer your cat lettuce. 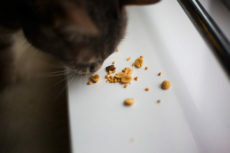 No matter what snack or snacks you end up offering your cat, you’ll need to make sure that all snack foods combined (and yes, that includes those addictive dental treats you picked up for Fluffy last week!) don’t exceed 10% of your cat’s overall diet. 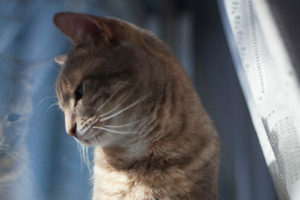 Snacks are like junk food and take out dinners – absolutely fine in small doses, but if they take up too much of a cat’s diet, the cat will either gain weight or have a diet that’s not nutritionally complete. 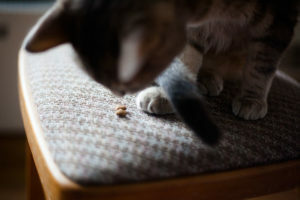 So watch those rations, or instead use my favourite cat snack trick: buying a second nutritionally complete cat food that’s made of a different protein source (like salmon if I’m giving my cat chicken-based kibble as a main meal) to use as a “treat” instead of human foods and cat treat biscuits. There’s no going wrong with giving two healthy foods – one as a main meal and one as a snack/treat! What Do You Think About Cats + Cheese? What are your thoughts on giving a cat cheese as a snack? Do you do it? How much do you give? How frequently would you offer cheese? Has your cat ever had an averse reaction to the lactose in cheese? Did you know there was so much variance in lactose percentages from one cheese to the next? 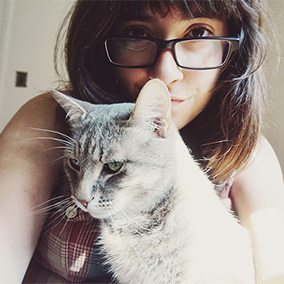 Any cats + cheese related thoughts and stories – please post in the comments down below! 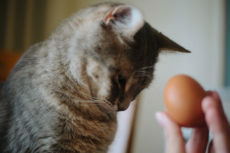 Can Cats Eat Eggs & Egg Yolks? Left Raw? Cooked Scrambled? Hard Boiled? Thanks, Linda! Will definitely keep them coming. 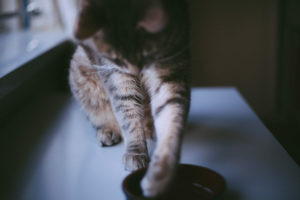 As a tip – you may want to try “transitioning” her to another food (like a wet food or another kibble if you prefer), by mixing the kibble she loves with the new food. So start with a lot of the one she loves and teensy bits of the new food, then keep increasing the amount of new food and decreasing the amount of the kibble she’s hooked on. It should help her eat at least half if not wholly something else; if you’d prefer her being on another cat food. This is a marvellous article. We have three cats and its our eldest who is known as the ‘cheese monster’. She has what I call her ‘cheese please face’ on the rare occasion we are eating cheese ourselves and we always give her a little bit which she loves. No ill effects to report and she’s 5 years old but we make sure we don’t over do it! Oh my god I need to see the “cheese please face.” That sounds tooooo cute for words <3 I love the nickname "cheese monster," too. It's amazing. Good on you for not overdoing it; it can be hella hard to say "no more" to those adorable faces they pull! Being vegan, we have no cheese in the house, but years ago, Chuck and Angel would get a bit of cheddar or yogurt. Nowadays, The Hubby monitors their food closely, and it’s only canned food, and I got yelled at yesterday when I suggested that I sneak some kibble to them once in a blue moon!